Mooh Dikhai ki Rasam is a post-wedding ceremony of introducing the new bride to all the members at the groom’s family. The new bride needs to be formally introduced to each member of the groom’s family, friends and relatives, when she enters her new home for the first time after her marriage. This introduction takes place in this ceremony called Mooh Dikhai ki Rasam. During this ceremony, close friends and relatives are only invited. The mother-in-law gifts her new daughter-in-law gold/diamond jewellery, clothes and money as shagun during this ceremony. 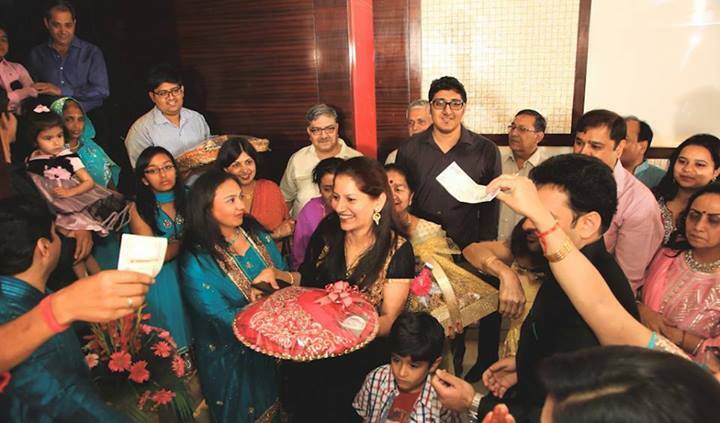 The other guests attending the function, also present her gifts and money. In addition, the bride seeks everyone’s blessings too. This ceremony is performed across cultures in their own way. Usually the bride is made to sit with her face covered using a veil. The groom’s relatives, mostly the ladies would come one by one to see the bride and would offer her gifts. In olden days, the baraat travels by horse or by walk to the bride’s place, get married and bring her along with him. As the travel might be hectic, women usually stays back and would wait till Mooh Dikhai ki rasam ceremony to see the bride. So this was considered to be an important ceremony being the first chance of all women relative of the groom to meet up with the bride.